FORMA Design was commissioned to completely furnish this chic full-floor apartment in the Kalorama neighborhood of Washington, DC. Furniture, rugs, window coverings, art, accessories make for a comfortable escape for the young owner, a repeat client of FORMA Design. 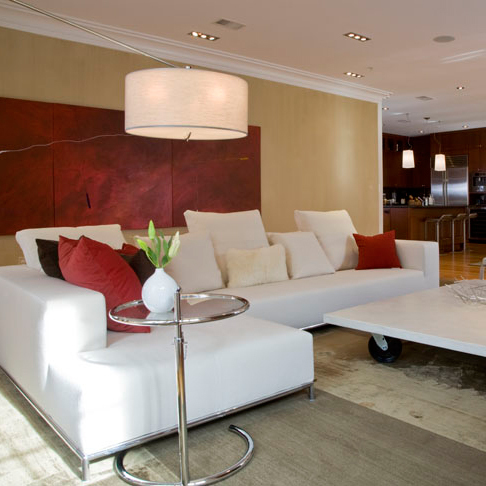 "I worked with Forma to completely furnish and decorate my condo. The results were amazing. I strongly recommend them."